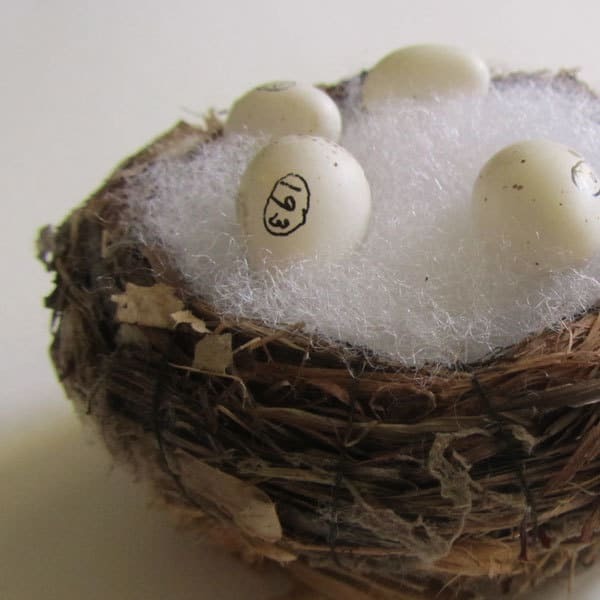 Together with the University of Iowa Museum of Natural History, the UI Libraries launched a new DIY History collection, the Egg Cards, a little over a month ago. These field note cards were collected by amateur ornithologists during the late 1800s/early 1900s in Iowa and elsewhere, for the purposes of identifying egg specimens in nests. 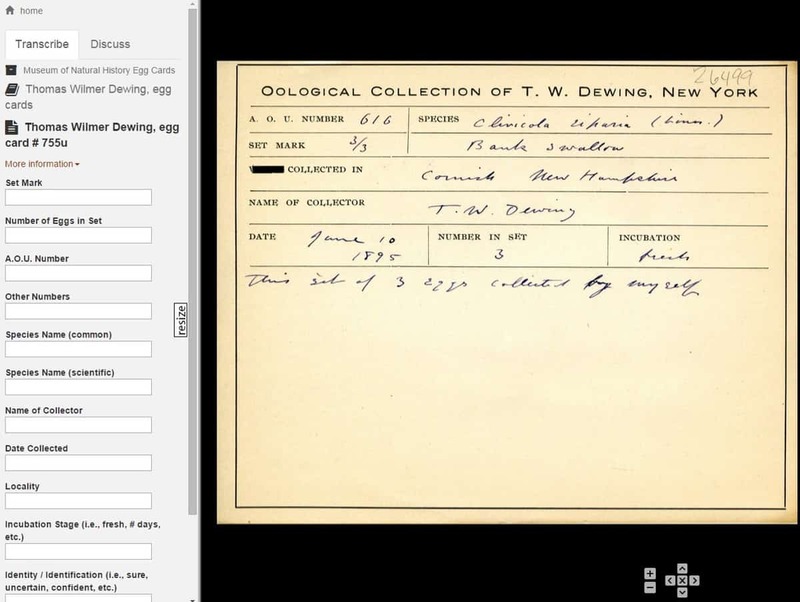 Being handwritten, these cards haven’t been searchable, but with the power of crowdsourced transcription, will become a searchable database to accompany the museum’s collection of bird eggs. This represents the first “natural science” project in the DIY History program, following the success of citizen science initiatives such as Zooniverse’s Galaxy Zoo and the Smithsonian’s Bumblebee Project. 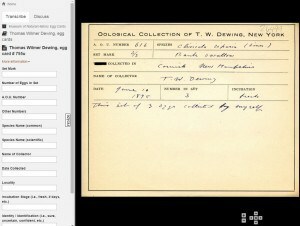 Participation in the Egg Cards bounced with the release of an IowaNow article, and the 1900 cards are nearing halfway completion. Join the fun – while you still can!